Don Cesar, son of Zorro, is framed for murder while visiting Spain, and becomes the whip-wielding outlaw Don Q. Fun silent pirate movie , plenty of action , thrills , exciting sword-play , luxurious costumes , athletic feats , fabulous scenarios ; all meld together under Albert Parker's right direction . 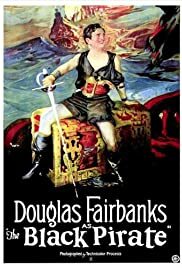 This exciting swashbuckling deals with the love story of a bold Buccaneer (Douglas Fairbanks) and a gorgeous princess (Billie Dove) and a subsequent vengeance . As a shipwrecked mariner vows vendetta on the pirates who destroyed his father's ship .As he writes on his father's tomb : ¨My father I solemnly vow¨. Seeking revenge, the athletic young man joins the pirate band led by a nasty captain (Randolf) responsible for his father's death . 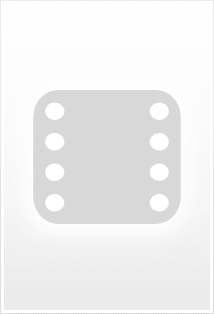 As Fairbanks uses all kind of shrewdness in order to penetrate a well-defended ship and take the command . Amusing pirate movie , plenty of emotion , astounding adventures , realistic miniature work , evocative cinematography in black and white and luxurious costumes ; this is the quintaessential pirate movie . This classic story of romantic adventure come to life enriched by fabulous scenarios and adapted rightly to the screen . Overwhelming battle ships , sword-play and full of villainy , romance , swashbuckler and heroism . The picture is fast-moving , exciting and thrilling right up to the climatic confrontation between Douglas Fairbanks and his villain enemies . Big budgeted film by United Artists Pictures , using appropriate ship shots and miniature sets when possible . ¨Black pirate¨ results to be Douglas Fairbanks's swashbuckling best and has achieved a classic status . Charming Douglas Fairbanks steals the show when he bounds and leaps , flies and run ; in addition he is the screenwriter of this rollicking adventure . Fairbanks executes athletic feats , moving sword-play and spectacular acrobatics similarly he demonstrated in other classics such as The Mark of Zorro (1920), Robin Hood (1922), Three musketeers , Don Q Son of Zorro , The gaucho , The iron mask , The Taming of the Shrew , Don Juan , Mr Robinson , among others . Douglas performed most of the stunts in his films himself. He was an excellent athlete and used his physical abilities to his best advantage. Douglas was king of Hollywood by that time and he formed his own production company ; during a Liberty Bond tour with Charles Chaplin he fell in love with Mary Pickford with whom he, Chaplin and Griffith had formed United Artists in 1919. In fact, there is a cameo appearance by Mary Pickford as Princess Isobel in Final Embrace . Furthermore , there appears Nino Cochise, grandson of the famous Apache chief Cochise as an extra in this movie , it was his second extra job in Hollywood, his first one being in Douglas Fairbanks' Robin Hood . The crew of Douglas Fairbanks' longboat in the climactic chase and battle were members of the crew of the USS Arizona . Bright black and white cinematography , though also available in color .This silent version was accompanied with an appropriate piano musical score . The motion picture was professionally realized by Albert Parker who directed some vehicles for Douglas Fairbanks . However , Donald Crisp -who plays a secondary role- was the original director, but after a few days of filming had a falling-out with star Douglas Fairbanks and was replaced by Parker.